I am writing this still in the euphoric afterglow of Nebraska’s incredible comeback against Michigan State this Saturday. It was one of the most amazing games that I have ever watched, and I watched it with dad. Usually, two or three random siblings and other relatives or friends will show up for a big game, but not today. Today, it was Vitauts, his beer, and his classic color commentary. When we were growing up, we would listen to the games on the radio, and dad always pretended to root for the other team. I think he was always a Husker fan, but he liked to play the devil’s advocate. And even when he did root for Nebraska, he would taint it with his negative comments about Devaney, then Osborne, and whoever else he blamed for “stupid” plays. Tonight was terrific. 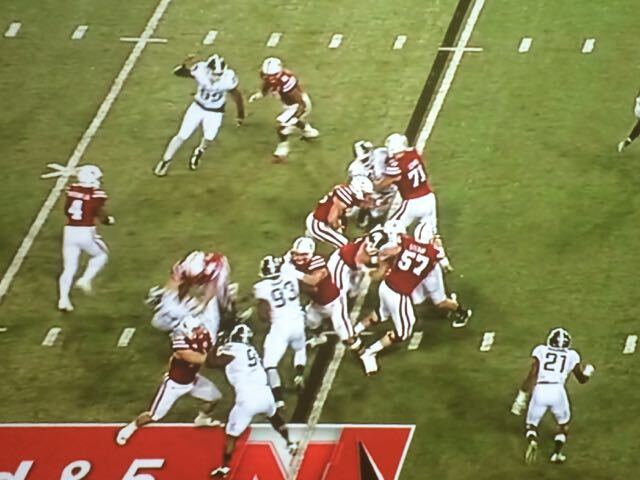 I was cheering and screaming as we both sat and enjoyed one of Nebraska’s best comebacks.